THE bogan is back and he wants your vote. 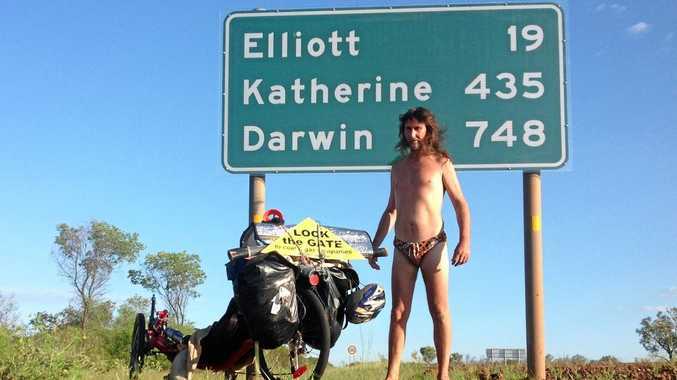 Christopher Horton, aka The Bogan With a Slogan rode from Gracemere to Darwin on his recumbent bicycle spreading his Shut the Gate (anti-mining) message across the country. Earlier this week he wrote in and told us his latest mission - to run for Prime Minister... in 2047. 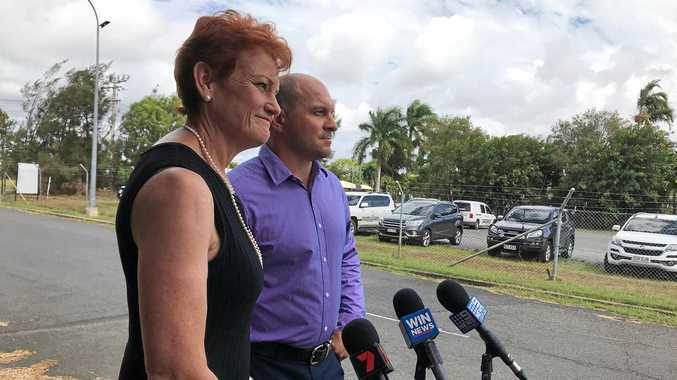 The budgie smuggler wearing eco-warrior has taken inspiration for this move into politics from an unlikely place and hopes to completely overhaul Australia if he makes it to the top spot. "Donald Trump announced more than 30 years ago his intention to become President of the United States,” the BWAS wrote. "So, today, I Christopher Charles Horton, announce my intention to become the leader of Australia in 2047. "I wish to be known as 'the humble servant' as I intend to dismantle the Westminster system we currently operate under. "It worked well enough to transition from feudalism to democracy, but we must evolve to the next level of humanity. "My platform will include nationalisation of all public utilities, a compulsory 35 hour week and no tax. "Education will be free, from prep to PhD. "We will create a brain bank to rival the world. "We will eliminate unemployment and poverty and rid Australia of corporations who do not have our best interests at hear. "As this will be a people led movement I welcome feedback and criticism.